WhatsApp removed its forward shortcut button last year to combat fake news by making it more difficult for the user to share the content they receive from other users. 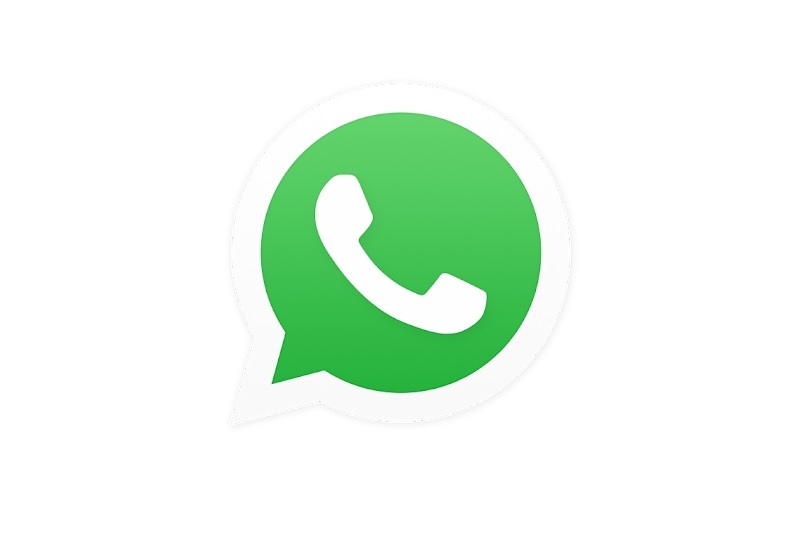 Now WhatsApp has released a new update that brings back the forward shortcut button to the messaging app. Earlier today while checking for the update we found that the feature which was removed last year is now been added again with latest WhatsApp 2.19.12 Update. WhatsApp has also added new Picture-in-Picture Mode and ‘Reply Privately’ in group features. While checking further, we also found that the new WhatsApp 2.19.12 Update now also brings the new Picture-in-Picture Mode which will allow users to play a link or videos they received from places like Facebook and YouTube within the app. 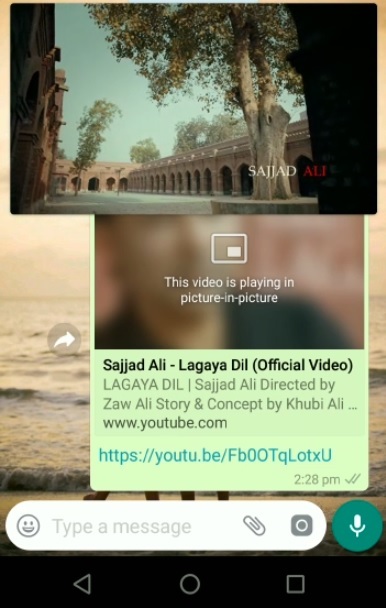 With the new Picture-in-Picture Mode in WhatsApp, you will be able to play YouTube and Facebook videos without leaving your chat. You will be able to chat while watching YouTube video. 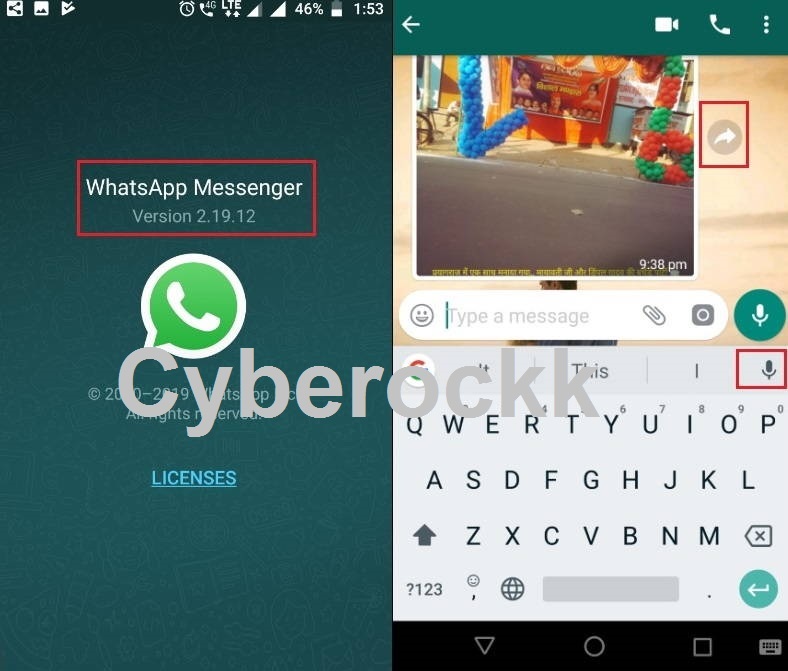 You will also be able to resize the video screen size on the chat window on WhatsApp. We also figured out that the Forward Shortcut Button won’t appear on the content received until you download and view it. Even the Forward option won’t appear when you try to forward it by long pressing on any content. Another interesting feature the WhatsApp 2.19.12 update adds is the ability to reply privately in the group. The new reply privately features will now allow you to reply to a group privately in your 1:1 chat. To reply privately in a group Tap and Hold a message while in a group chat and select ‘Reply Privately’. Additionally, WhatsApp has also added a new Dictation feature, which allows dictating your message without typing on the keyboard. Using the new feature you will be able to type your message just by saying it loud. The feature was already available using the Smart Voice Assistant like Google Assistant and Siri but now the feature has been integrated natively into WhatsApp. To use the new Dictation feature you can simply go the chat window and on the keyboard, you will see a mic icon. Now just tap on the mic and start typing your message by saying it loud. Did you try the new version of WhatsApp on your mobile? do let me know in the comments section down below.